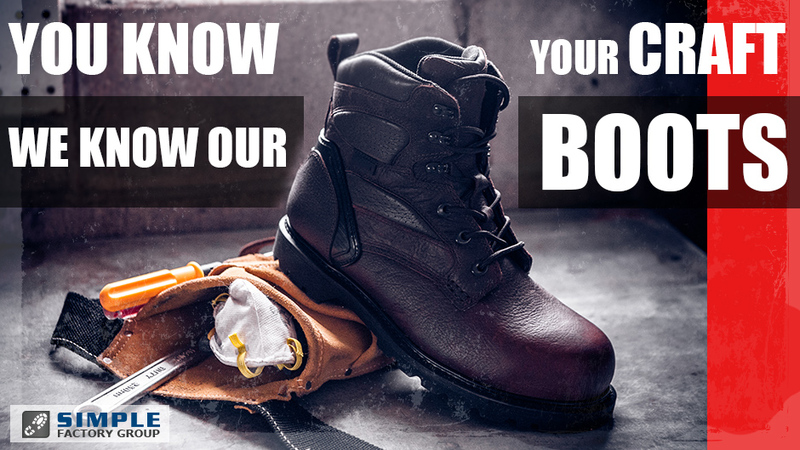 We’re Simple Factory Group and we make boots. Boots people Wear When they’re pouring cement. Boots people Wear When they’re in the middle of the forest, cutting down massive size trees with proportionately massive size chainsaws. 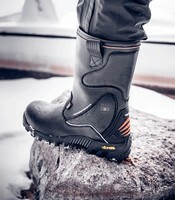 Boots people Wear When they’re 50 feet Below the surface of the Water doing underwater construction. We don’t make products that are elegant, or delicate, or technologically superior to anything. We make Basic manufactured goods, that just aren’t so Basic. 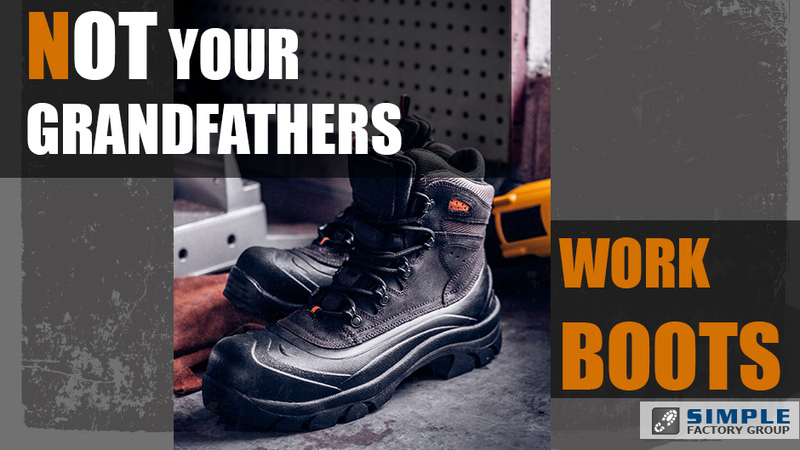 our Boots are meant to take a Beating. 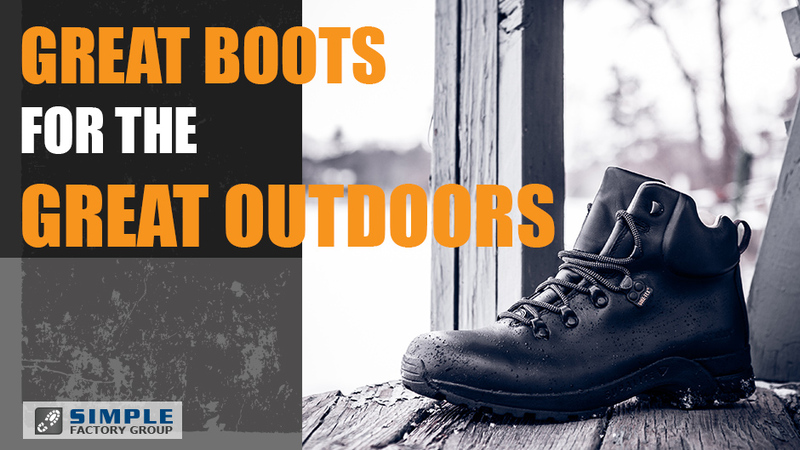 hiking Boots, hunting Boots, tactical Boots, military Boots, Waterproof Boots, Western Boots, fire-resistant Boots, and any other Boot With a purpose. 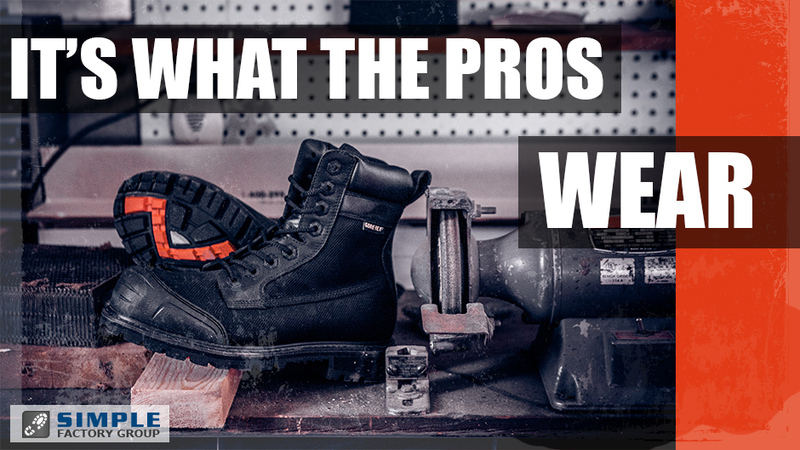 If it’S purpose-driven Footwear, we can help you make it – From concept to Finished product. Don’t need too many? Our smallest production run iS 600-pair. Need them quickly? 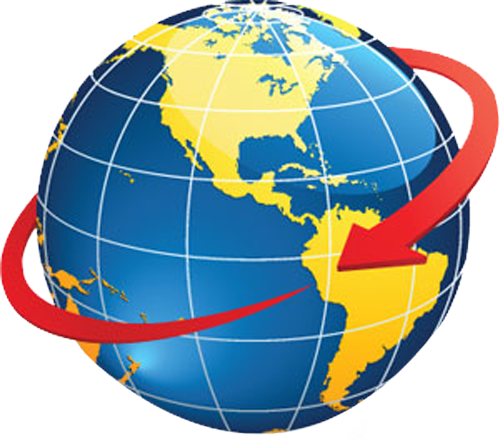 Once we receive firm projections, we can ship in as little as Five weeks. That’s so fast you’d think we make running shoes. Looking for a factory that understands inventory manangement, quality control, and commercial design? The answer is Simple. 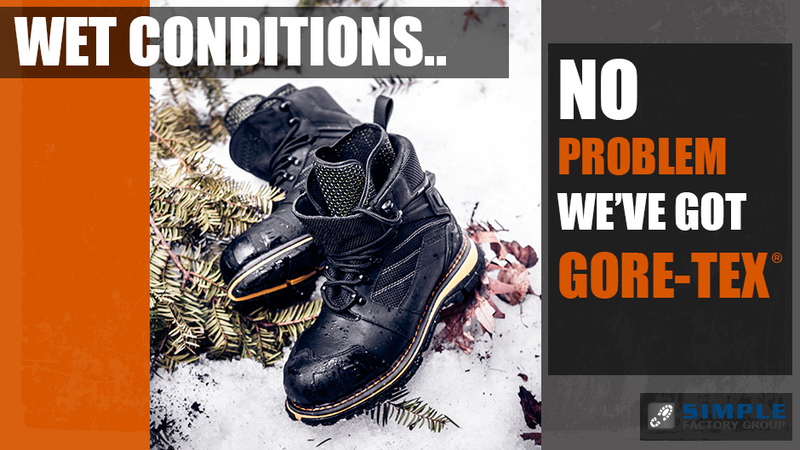 Rugged footwear is our business. 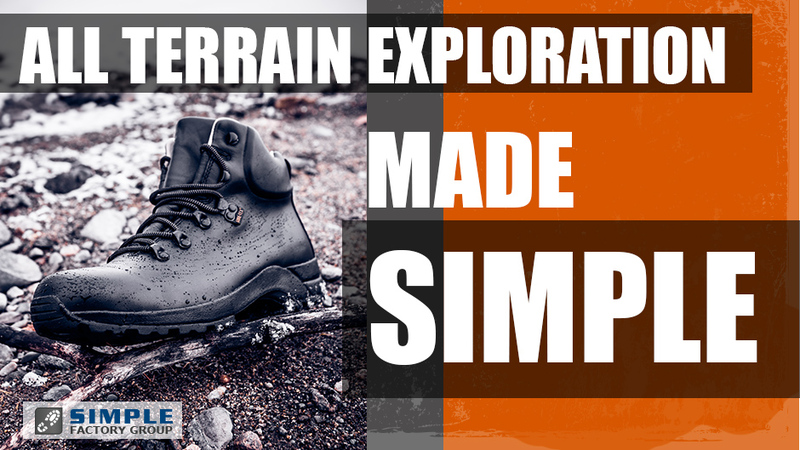 As a trusted business partner, Simple Factory Group provides the best rugged footwear solutions for our clients’ product lineups and specialty needs. 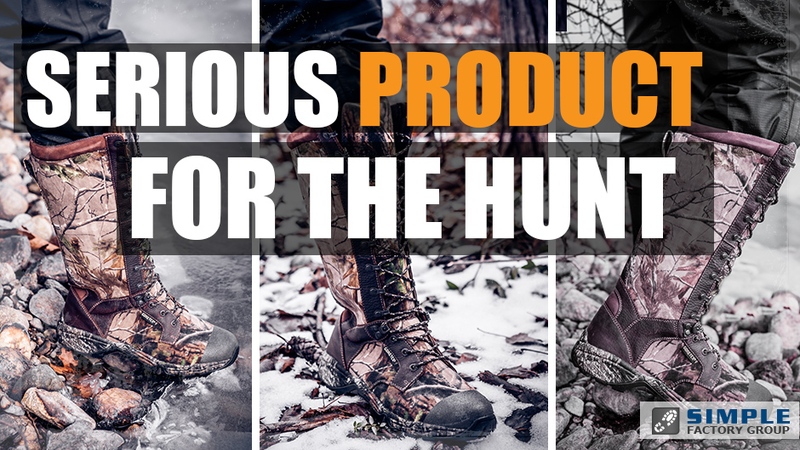 Our deep industry knowledge, from design and development, to production, to quality control, to distribution channels and methods, enables us to provide our clients with innovative footwear products. We deliver on our commitments so our clients can build strong relationships with their customers, achieve profitable growth and be leaders in the marketplace. Have an idea? 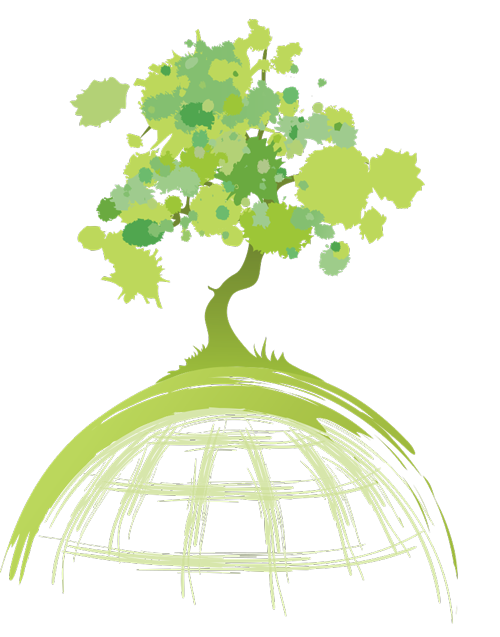 We have our own in-house design team, so we can help you with concept design and development. Need small production runs? Or need small quantities for replenishment or backup orders? We can help. Our smallest production runs are 600-pairs. And we strive to go out of our way to help our business partners. So whatever your production needs are, we’ll do everything we can to accommodate you. Have short lead times? Not only are we flexible, but we’re also fast. With accurate projections, we are able to achieve 4- and 5-week production lead times! Testing new products and materials? No problem - we’ll be right there with you. And finally, our factory has been approved by most major brands in our product categories. At Simple Factory Group, we do things to help our customers in ways our competitors can’t. 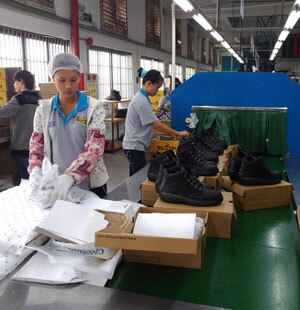 Currently serving the needs of customers in over 30 countries, Simple Factory Group is a full service footwear manufacturer that provides its customers with not only a resource for manufacturing footwear, but also a resource for new product design and development. 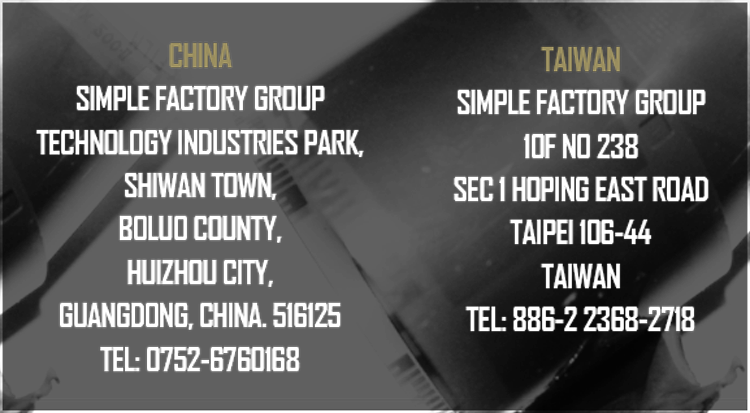 Simple Factory Group’s construction capabilities include Goodyear Welt, cement bonding, injection molding, and corner stitch footwear. With a 540,000 sq. ft. manufacturing facility, Simple Factory Group has a production capacity of over 15,000 shoes per day. In order to ensure the highest quality standards are met, most manufacturing machinery and equipment is imported to China from the United States, Europe and elsewhere. No raw materials are booked into the warehouse until they have been quality checked and tested in our accredited on-site laboratory. Simple Factory Group maintains quality control stations at multiple points throughout the production process with further lab testing performed on-site in order to achieve product quality control objectives. These quality control methods and standards result in a customer rate-of-return of less than industry norm. design and development of new product - we have our own in-house design team! individual product development time lines built to your own specific product and company criteria. 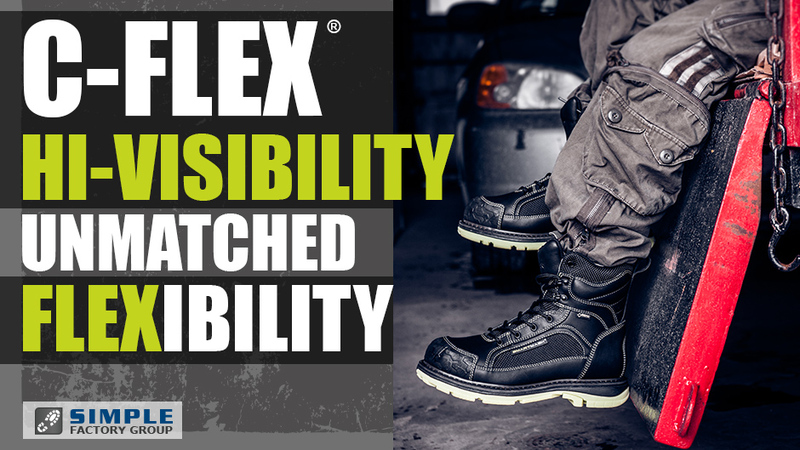 Simple Factory Group is an approved manufacturer of GORE-TEX® membrane footwear. 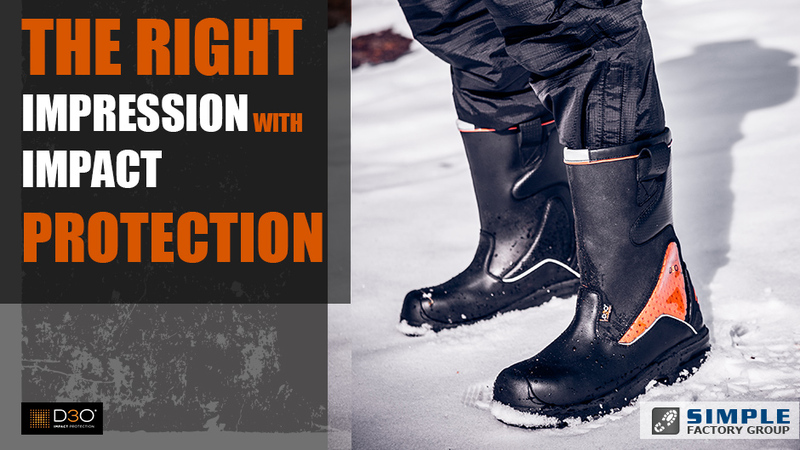 We are one of the few approved factories in China, that are approved to manufacture GORE-TEX® and Rugged footwear. In addition to working with W.L. 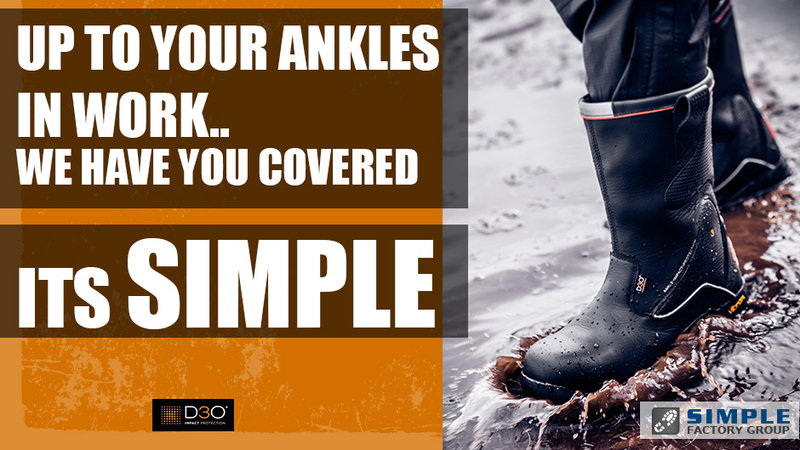 Gore & Associates, Simple Factory Group is innovative in working with other advanced footwear technologies, such as SMARTMASK® insoles, midsoles and outsoles, and ComposiMAX® safety toe-caps. 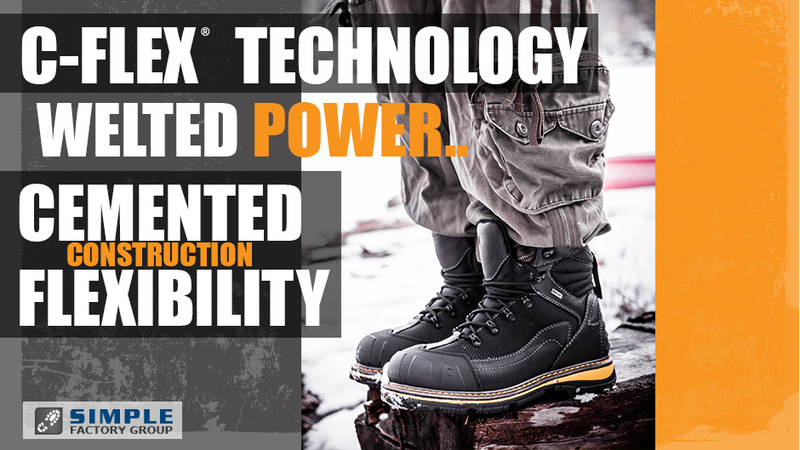 ComposiMAX® is pushing performance to new heights, leading the transition from heavy steel-toe to lightweight non-metallic safety footwear. Composimax toes are manufactured using the most advanced technologies upholding the highest quality standards in the industry. 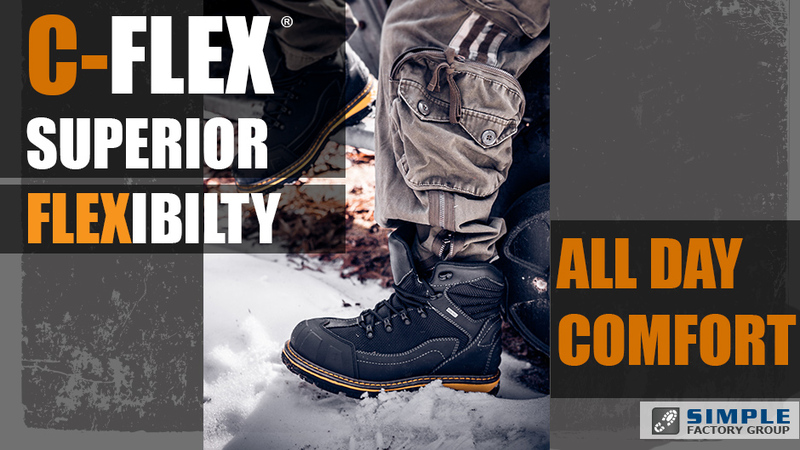 As the dominant name in non-metallic safety toes, ComposiMAX® is the brand of choice for millions of consumers transitioning to the new, non-metallic safety toe. SMARTMASK® insoles, midsoles and outsoles are constructed using special blends of materials, which are designed to provide extra cushioning, extra shock absorption, and overall footwear performance. 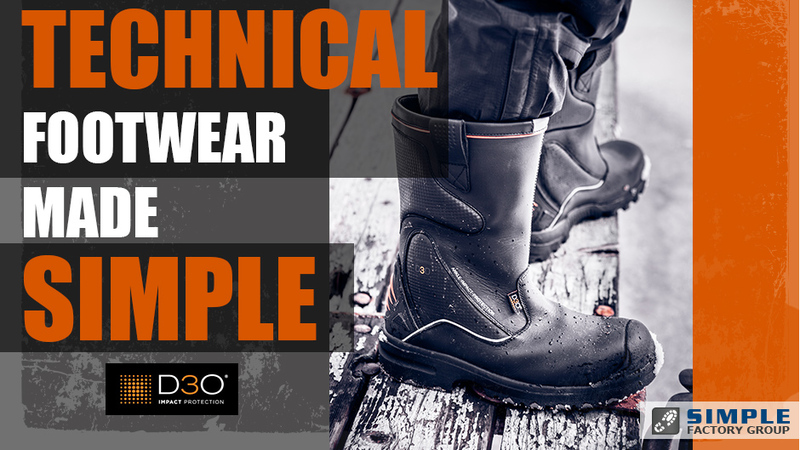 Manufactured to meet or exceed standards, SMARTMASK® technology is designed to provide superior performance for all your footwear needs. 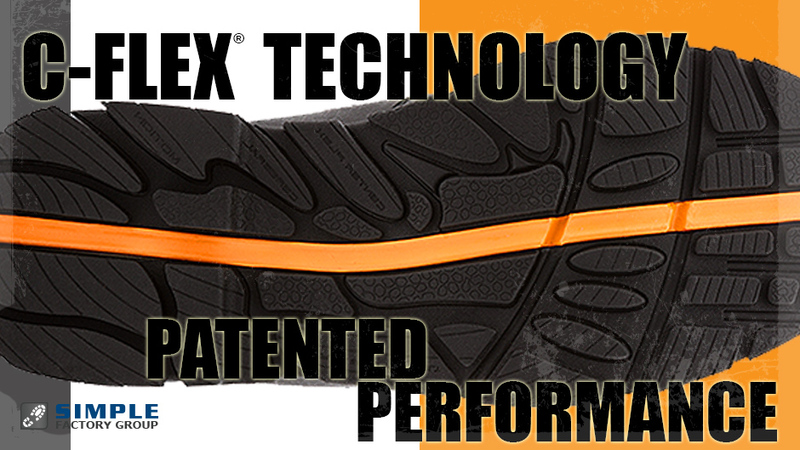 Vibram is the world leader in the production and marketing of soles and rubber compounds, high-performance , intended markets for the outdoor, work, recreation, fashion, repair and orthopedic. Over the course of 70 years of history Vibram has accumulated extensive experience in engaging developing a range of products suitable for very high-performance sports practices and more. 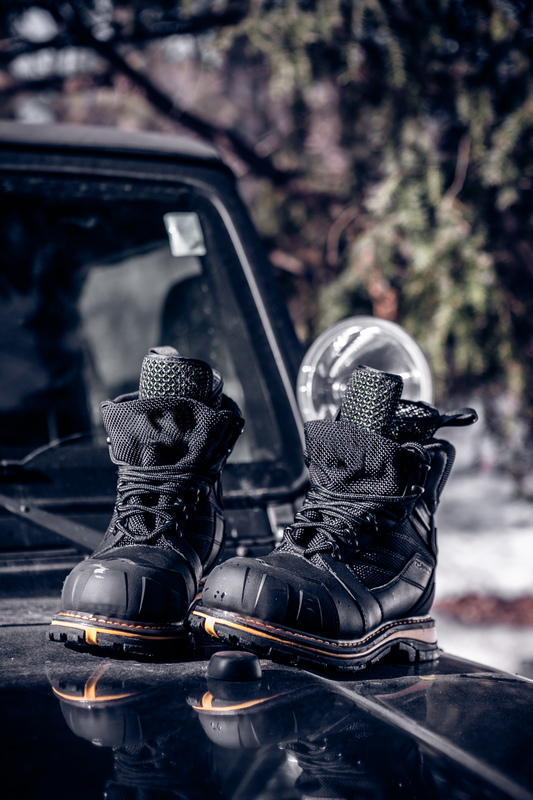 Strength of its know-how, Vibram at the end of the sixties, has entered the field of safety footwear, with the sole "Security" in special rubber, resistant to industrial chemicals. 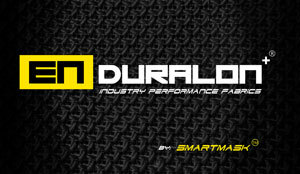 Enduralon is a resilient synthetic fabric that has a variety of applications. 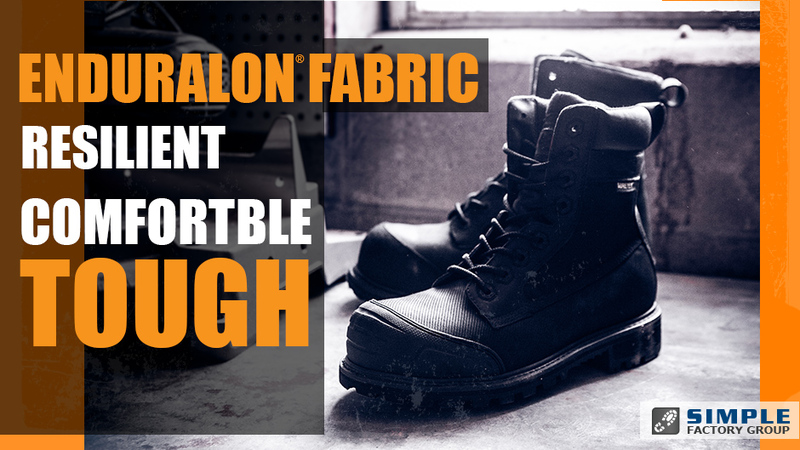 Originally developed for the military, Enduralon is widley recognized for its resistance to abrasion and tearing in industrial applications. 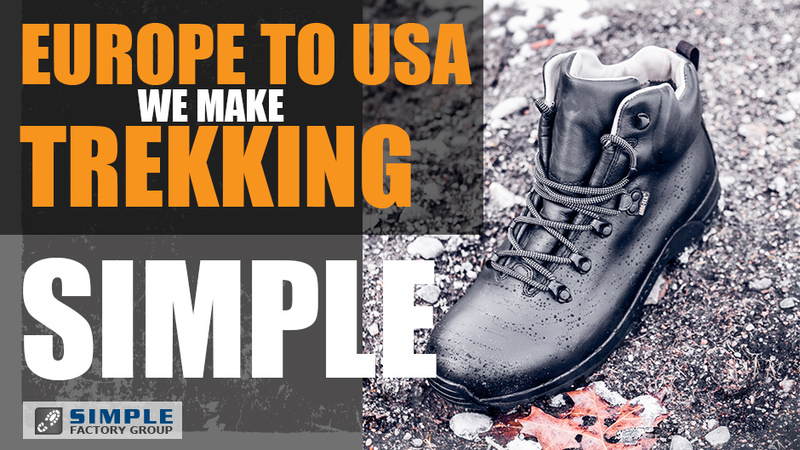 Simple Factory Group manufactures rugged footwear to U.S. ASTM standards, UL Certified, Canadian CSA stardards, Australian and New Zealand AS/NZA standards, and European CE standards. Simple Factory is also a recognized ISO 9001:2008 certified facility for quality management. Since the day we opened our factory in 1998, we have been committed to doing business responsibly. We realize that without our employees, we would not be where we are today - we have the TRUST and RESPECT of everyone what we conduct business with. As such, Simple Factory Group is a TOLUENE-FREE environment. Our facility is free of dangerous and harmful adhesives; we use only water-based cements, which perform as well as those that are sovent-based. We have REACH certification and we are registered with SEDEX. We maintain normal working hours for all our factory employees, and we pay overtime for any hours accrued over the standard work week. We maintain a safe, clean and sanitary facility. We firmly believe that working a reasonable number of hours in a safe and healthy environment not only leads to a better quality of life, but also correlates to a happier person. And because happy people tend to be more productive, they also tend to generate higher quality output than those people who work in generally poor conditions. We have GREAT employees and because of them, we are able to provide our business partners with the highest level of service that we are so proud of. And we believe that in order to develop and keep great employees, we must treat them honestly and respectfully. Simple Factory Group is proud to introduce Joyful Trading Co. as a member of Simple Factory Group. We’ve heard your comments and your feedback over the years, and have created Joyful Trading Co. to help bring you an avenue of less expensive price points on some of your price-sensitive footwear orders. The Joyful Trading Co. is the trading arm of Simple Factory Group. When pricing prevents you from using Simple Factory for production, we can still help you by engaging Joyful to act on your behalf as your “agent” between you and another production facility. Over the years of manufacturing in China, we have met a lot of people. And through those relationships, we now have strategic partners throughout China that we are able to turn to help us with production when the occasion warrants it. We call these our sister factories. Simple Factory will do all your materials procurement, preparation and testing in-house; we’ll make the lasts, we’ll open the paper patterns, we’ll do the grading, and we’ll do the testing just like we would for any other order that is placed at Simple Factory. The process changes at the production stage. Instead of producing the bulk quantity in our own factory, we’ll send the selected ready-made materials to one of our sister factories where bulk production will take place. We have many of our own people on-site at each of our sister factories to ensure that quality standards are maintained. And when your order is ready to ship, our employees will handle the order to make sure your delivery schedule is met. As all of us in our industry know, doing business in Asia can be very challenging, to say the least. We will do our best to source the materials locally, but we all know that these materials are not the highest quality, that they can be unstable, and that they can put the integrity of the final product at risk. We work long hours to be sure we get our customers the best possible products in these price points, and to make sure that every order placed through Joyful Trading Co. will meet or exceed the standards of other footwear products within the same price points. Are they like a pair of shoes from Simple Factory? Not even close, buddy! 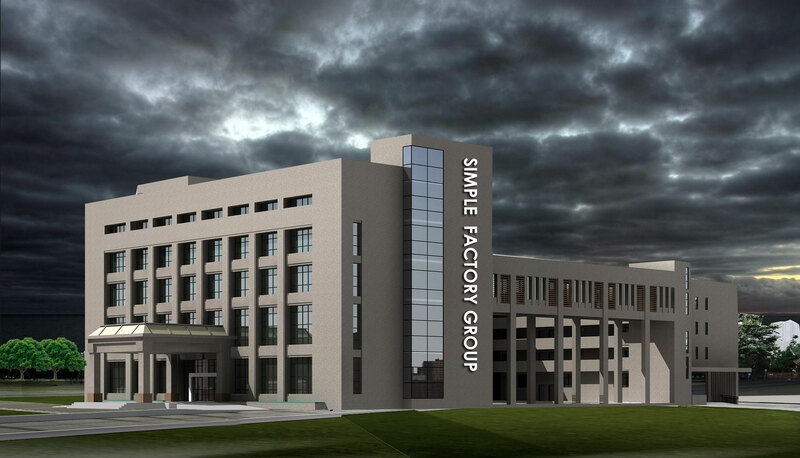 At Simple Factory Group, we know that we have a great, high-quality product that your customers keep coming back for. But that high-quality obviously comes at a price. And we understand that sometimes your customers don’t want that price. We created Joyful Trading Co. to help our customers maintain the manufacturing relationships that they already have in Asia, and to help them to keep their stockrooms filled with goods from Simple Factory Group. For those of you who need assistance sourcing lower price-point footwear, ask your Simple Factory Group sales representative, or contact the U.S. Office at 1-718-627-7455, and ask about the Joyful Trading Co.